I wanted to share a few of my favorite things I crafted (and sold) from last weekend. So, I will post today, most likely tomorrow, and maybe another day this week. It all depends on my energy level. 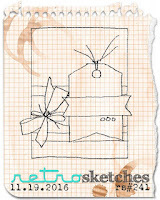 I am entering my large gift card holder in the Word Art Wednesday : Anything Goes challenge! 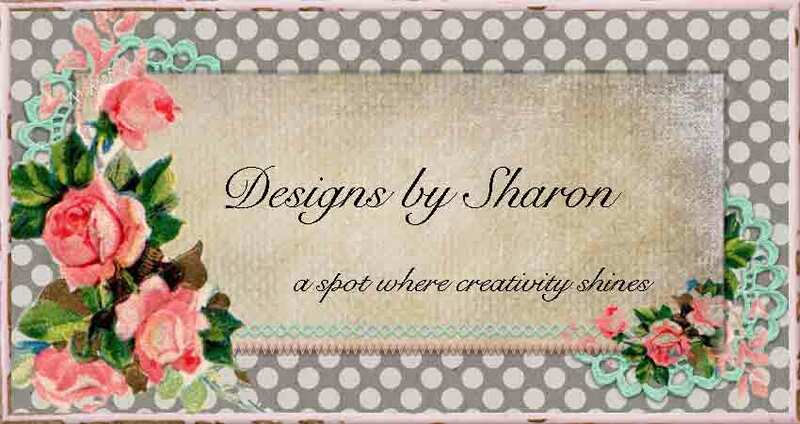 *my large gift card holder was selected as a 'Top Three'! Thank You Word Art Wednesday. 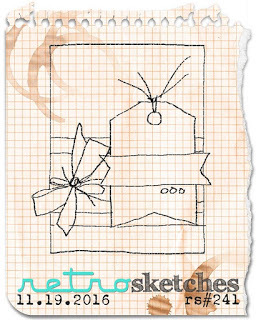 I am also entering my large gift card holder in the Retro Sketches challenge. it's a sketch! I love fabric (along with paper). But, I don't sew garments. I don't sew toys. I sew on paper. And I know a lot of folks who make wearables. Not me. But I understand the thrill of finding a gorgeous print. Or the perfect shade of pink (or any other color) to finish a project. I collected some pattern papers from Carta Bella, the Sew Lovely and So Noted. I wanted to make something sweet, pretty, and practical. 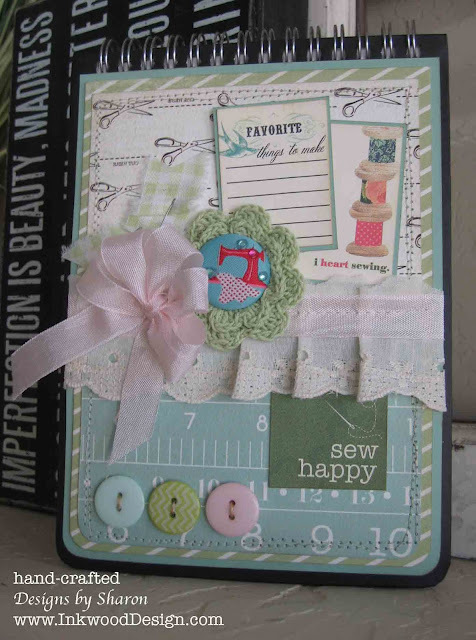 I just loved how the green stripe and the blue ruler pattern papers looked together. Not really christmas-y, but simply pretty! 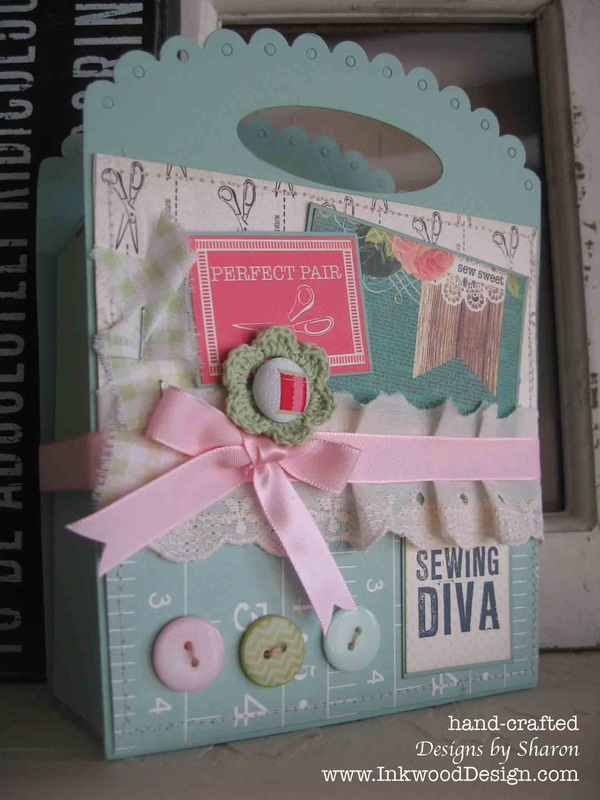 And if you craft (any kind) you know if you find something that works really well together, you don't 'un-do' it. I used a variety of stuff from my stashes, so it would be ridiculous to name everything. But, I'll list a few. And as always, if you have a question about a particular product, please just ask. Well, thank you for stopping by! now, I am off to finish some holiday shopping, and to get a few items out in the mail! 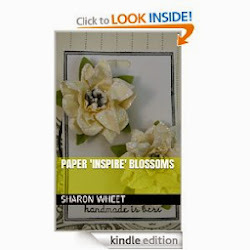 I hope you have been inspired, or at least the creative wheel is turning!